Click where you want to reference to the footnote or endnote. On the References tab, select Insert Footnote or Insert Endnote. Enter what you want in the footnote or endnote. 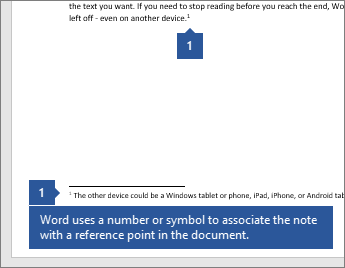 Return to your place in the document by double-clicking the number or symbol at the beginning of the note.